The basic principle is that it is permissible to interact and do business, buying and selling, with the Jews and others, because it is proven that the Prophet (peace and blessings of Allaah be upon him) and his companions interacted with the Jews of Madeenah, buying and selling, lending and putting items in pledge, and other kinds of interactions that are permissible according to our religion. The Jews with whom the Prophet (peace and blessings of Allaah be upon him) interacted were people with whom the Muslims had a treaty; those who broke the treaty were either killed or expelled, or were left alone if that served some interest. But there is evidence which indicates that it is permissible to buy and sell with kuffaar who are in a state of war against the Muslims. Chapter: Buying and selling with the mushrikeen and people who are at war with Islam. Then he narrated (2216) that ‘Abd al-Rahmaan ibn Abi Bakr (may Allaah be pleased with him) said: We were with the Prophet (peace and blessings of Allaah be upon him) then a mushrik man came with some sheep that he was driving. The Prophet (peace and blessings of Allaah be upon him) said: “Are they for sale or a gift?” He said: “For sale.” So he bought a sheep from him. The Muslims are unanimously agreed that it is permissible to interact with ahl al-dhimmah (non-Muslims living under Muslim rule) and other kuffaar, so long as the object of the transaction is not haraam, but it is not permissible for a Muslim to sell weapons or tools of war to those who are waging war against the Muslims, or anything that helps them to support their religion. 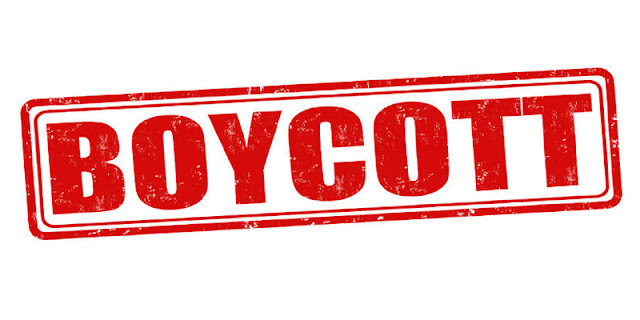 Ibn Battaal said: dealing with the kuffaar is permissible, except for selling things to those who are at war with the Muslims that may help them against the Muslims. It was narrated in al-Majmoo’ (9/432) that there is scholarly consensus that it is forbidden to sell weapons to people who are waging war against Muslims. The reason for that is obvious, which is that these weapons will be used to fight the Muslims. There is no doubt that it is prescribed to engage in jihad against the enemies of Allaah, Jews and others, with our lives and our wealth. That includes every means that will weaken their economy and cause them harm. Money is the lifeblood of wars ancient and modern. The Muslims in general should cooperate in righteousness and piety and help the Muslims in all places in ways that will lead them to prevail and strengthen them and enable them to manifest the symbols of religion, to practise the teachings of Islam and to implement the rulings of sharee’ah and carry out hudood punishments, and whatever will lead to their victory over the kuffaar, Jews, Christians and others. They should strive their hardest in jihad against the enemies of Allaah with all the means at their disposal. The Prophet (peace and blessings of Allaah be upon him) said: “Strive against the mushrikeen with your wealth, your lives and your tongues (speech).” Narrated by Abu Dawood, 2504; classed as saheeh by al-Albaani in Saheeh Abi Dawood. The Muslims have to help the mujaahideen as much as they can, and do everything that will strengthen Islam and the Muslims. They must also strive against the kuffaar in whatever ways they can, and do everything they can to weaken the kuffaar and the enemies of Islam. They should not employ them as workers such as typists, accountants, engineers or servants in any kind of service that gives them more power to collect the wealth of the Muslims and use it against them. 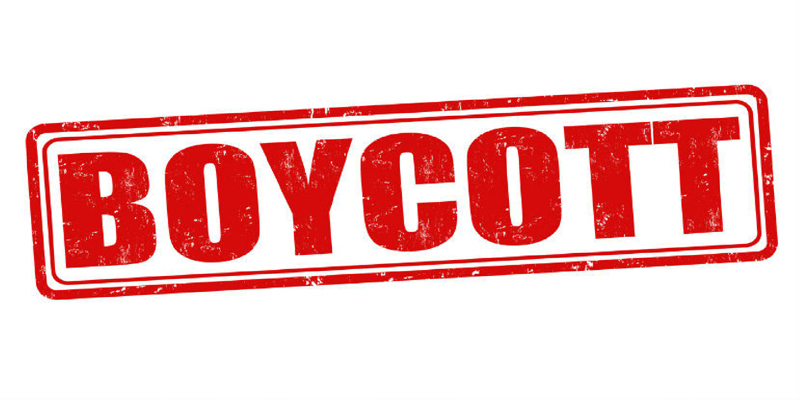 The one who boycotts the products of the kuffaar who are waging war against Islam, intending thereby to make manifest the fact that he does not like or support them, and to weaken their economy, will be rewarded in sha Allah for this good intention. Whoever deals with them on the basis of the principle that it is permissible to deal with the kuffaar – especially buying things that he needs – there is no sin on him, in sha Allaah, and that does not affect the principle of al-wala’ wa’l-bara’ (loyalty and friendship vs. disavowal and enmity) in Islam. The Standing Committee was asked: What is the ruling on Muslims not cooperating with and not wanting to buy from Muslims, and preferring to buy from the kuffaar; is this permissible or forbidden? The basic principle is that it is permissible for the Muslim to buy whatever he needs of things that Allaah has permitted from both Muslims and kaafirs. The Prophet (peace and blessings of Allaah be upon him) bought from the Jews, but if a Muslim turns away from dealing with his fellow Muslim for no good reason – such as deceit or high prices or bad products – and he prefer to buys from kaafirs with no reason, that is haraam, because it implies that one is befriending the kuffaar, approving of them and liking them, and because it involves reducing the Muslims’ business and preventing them from selling their goods, if the Muslim takes that as his habit. But if there is a reason for that, such as those mentioned above, then he should advise his Muslim brother to give up these faults. If he accepts the advice, then praise be to Allaah, otherwise he should go to someone else, even if he is a kaafir, if he is honest and decent in his dealings.